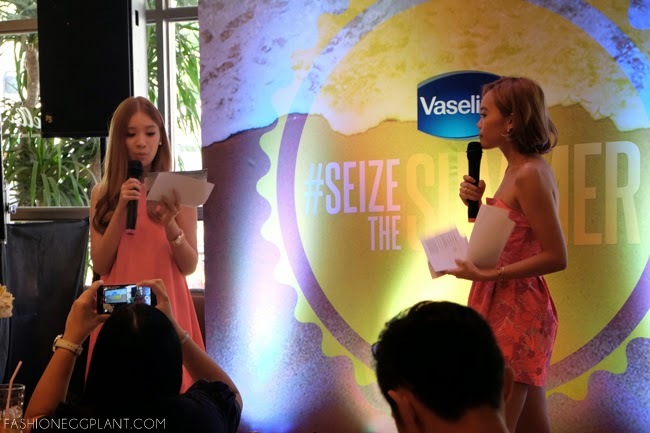 How would you like to #SeizeTheSummer with an all-expense paid trip to Bali, Indonesia with Vaseline??? 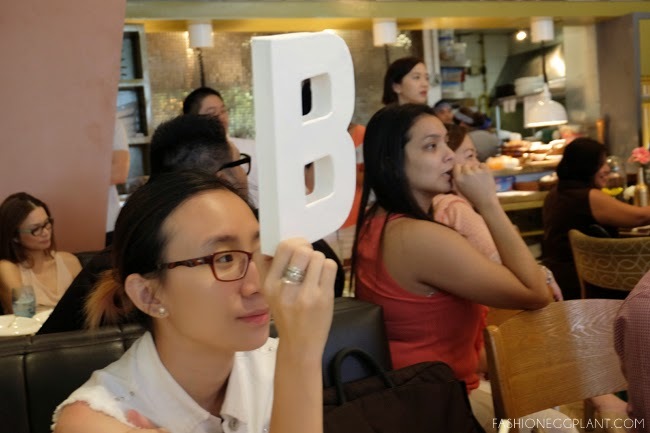 I had lunch yesterday at Stella in BGC with Tricia Gosingtian and Vaseline to know more about their new water-based serum and how it can help us "Seize The Summer". There was a short quiz contest to test us on summer destinations and sun damage facts. SPF30 being able to provide 96% protection from UVB rays of the sun that cause skin damage and sunburn. Aside from SPF 30, it also has PA++ which protects against skin aging and darkening from prolonged exposure to the sun's UVA rays. It's infused withVitamin B3 that whitens skin with continued use - no need to worry about that sunburn sticking with you til the colder -ber months! The new water-based serum is also immediately absorbed by the skin and feels light as a feather! Non-greasy and perfect for humid days when you don't exactly want to add stickiness to an already "sticky situation". It's the perfect everyday lotion for summer. Now the REALLY exciting part! Who wants to win an all-expense paid trip for 2 to Bali, Indonesia this April 10-14??? 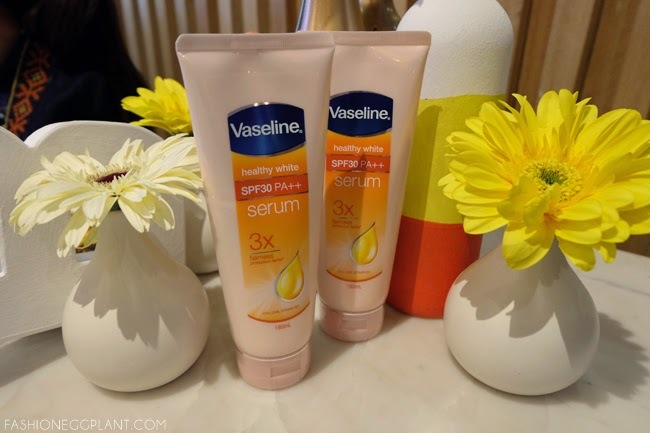 Yup, Vaseline is challenging all of you women out there to #SeizeTheSummer without worry by giving away this awesome travel package! 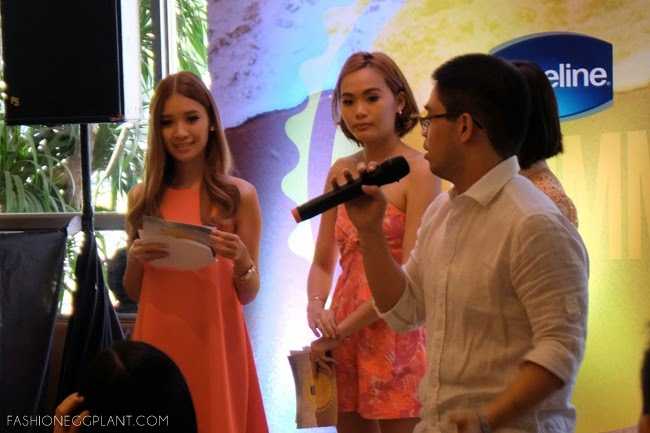 ***Winners will be chosen by Laureen Uy and Tricia Gosingtian. The NEW Vaseline Water-Based Whitening Serum is now available in all stores nationwide for just P249/180ml bottle and P99/70ml. I hate sticky and greasy lotion, thats why I don't wear them as much, unless I will be out under the sun for long. Glad to hear about this Vaseline's new water base formula. Looks very promising. Will check it out! Wow! Bali!!! :) I wanna join. I hope I could bring my baby though. Hihihi! I like Vaseline's lotion. I used their Whitening one and my skin did glow. I want to try this new lotion from Vaseline. So perfect for Summer. It's really soooo hot outside already and so this is truly a must-grab item! yup :) love that its affordable too!